Starring Boyd Holbrook, Trevante Rhodes, Jacob Tremblay, Keegan-Michael Key, Olivia Munn, Sterling K. Brown, Thomas Jane, Alfie Allen, Augusto Aguilera, Jake Busey, Yvonne Strahovski, Niall Matter, Mike Dopud and Brian A. Prince. 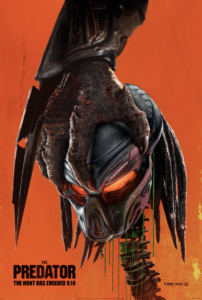 By all respects, co-writer and director Shane Black’s reinvention/sequel (or whatever interchangeable term you want to use) of The Predator franchise delivers the ingredients fans crave; it’s ultraviolent and coasts along with nonstop action and sidesplitting humor from the talented cast, there are some sweet looking practical effects in line with the original classic, a couple nostalgic references, and a retro 80s macho vibe (admittedly, this could be a good thing or a bad thing depending on how invested you are in the recent controversy surrounding the director, but for this film lover it worked for the most part) replete with expectedly cheesy yet simultaneously badass one-liners. 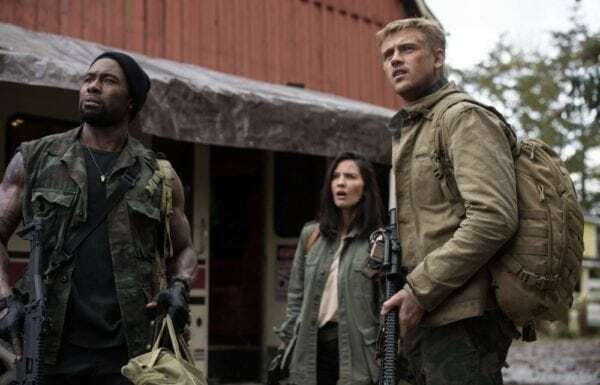 Something tells me star Boyd Holbrook (recently seen in cinemas as the mastermind villain in the outstanding climax to the Wolverine saga, Logan) is going to make it even further within the action genre. 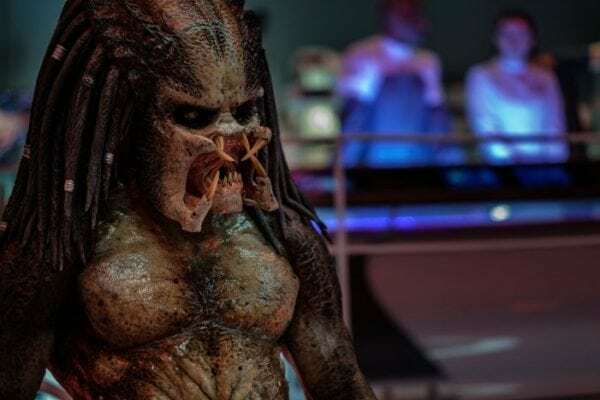 Unfortunately, this version of The Predator is also basically a game of Corrupt-A-Wish; you get what you want but tacked on with a whole lot of unnecessary crap and flaws. 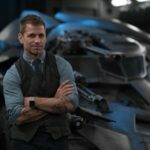 Before even getting into divisive narrative elements that will split moviegoers down the middle on the overall experience such as the introduction of a Super Predator or Predator canines, it should be hard for anyone to actively dislike those new additions considering that the story is already all over the place, making literally no sense. Credit this to the 11th-hour reshoots if you want, but the real culprit seems to be Shane Black himself and his breakneck speed pacing that never once slows down to expand on any of the new lore/details he’s bringing to the table. In other words, this is definitely a film that snugly fits right into his portfolio and doesn’t seem to have gone through much of any studio interference. It’s rare to say, but in this case, it might be a negative aspect. With writing assistance from RoboCop 3 director Fred Dekker, Shane Black centers the tale of survival on a disgraced, ragtag group of military personnel that must break free from the confines of a bus transporting them to some kind of group therapy, all in order to fight back against the space alien and save the day. What are the Predators trying to accomplish? That’s really the only question regarding the narrative I can answer; they want to evolve and become even more powerful. 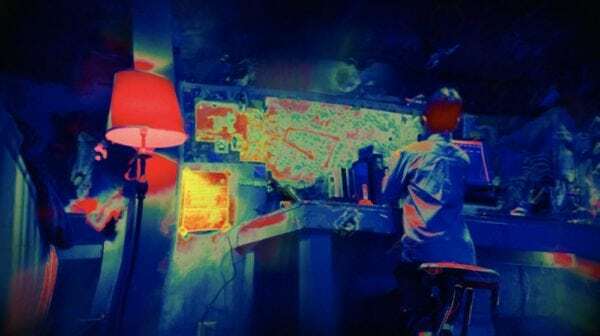 However, along the way are numerous head-scratching decisions that mostly feel stupid just because they are underwritten, and not necessarily from conceptual design. Why are alien dogs friendly? No idea, but I suppose it has something to do with Olivia Munn’s biologist character Casey, who walks a fine line between contributing to the team and existing for comedic purposes at the expense of unhinged and unpredictable, but surprisingly rather harmless soldiers played by a host of funny people. Keegan-Michael Key steals the show thanks to his timing with some hilarious lines, while Thomas Jane also stands out suffering from Tourette syndrome. 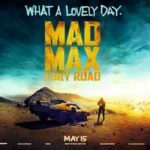 Meanwhile, arguably the greatest child actor currently in the business, Jacob Tremblay (Room), is the son of the aforementioned team leader Quinn McKenna (Boyd Holbrook), a seemingly autistic but undeniably intelligent kid that comes into possession of Predator technology, subsequently immersing himself in grave danger. If that wasn’t enough, the Army also seems to be up to something shady (containing some equally serviceable performances from always reliable actors such as Sterling K. Brown). Ultimately, none of this comes together in any coherent way, truly leaving audiences with an experience that lives and dies based on the craft of bloodshed and gore. Luckily, from the moment a dormant Predator awakes from being strapped down inside a laboratory and begins slicing and dicing scientists, the film elicits a style of presentation rarely seen nowadays. The Predator is take no prisoners carnage where anyone and everyone becomes a killer, including Jacob Tremblay (some will find the scene in poor taste, but considering how silly and nonsensical everything already is here, it’s difficult to do anything but laugh and cheer on the destruction). Generic troops are impaled and decapitated, sometimes within half a second of each other. Not to mention, the simple act of this creature stalking his prey among various locales including an elementary school and the nearby wilderness are satisfactory at creating suspense. Keep in mind, tension doesn’t come from the story being anything to write home about, but rather these characters being so darn likable that whenever one of them is placed in peril we genuinely don’t want them to die. To be honest, I was prepared to walk out of the screening if Keegan-Michael Key died too early. Okay, that’s an exaggeration, but seriously he kills it here. And then the Super Predator enters the frame who is much more of a computer-generated creation, towers over his weaker brethren, and kills even more cartoonishly, somehow. Needless to say, I was not a fan of this. Logically, this superior version should be far more terrifying considering its height and power advantages, but all of this comes with the opposite effect; bigger and badder isn’t always scarier, especially when the regular kind is decked out in fantastic makeup and feels more realistically grounded. It doesn’t help that this is also where the narrative completely checks out and becomes a disaster. 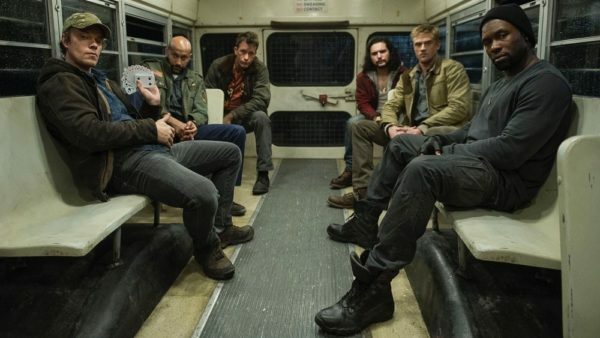 All things considered, the cast, vibe, and over-the-top brutality are enough to make Shane Black’s spin on The Predator worth preying on. He imbues the film with his signature touch that, as far as character camaraderie goes, works wonders, but also loses all sense of plot direction in doing so. No one can deny he’s having fun; there are buckets of blood galore and amusing dialogue exchanges touching on the fact that by definition this creature is more of a hunter than a predator. Prepare for those 103 minutes to fly by, as this is one gleefully entertaining mess.